Find out if you meet the BERT Training Fund (BTF) criteria or the Jetco Funding and apply for a training subsidy. If you are an employee and your employer makes monthly contributions to CIRT and to the JETCO training fund on your behalf, you may be entitled to a subsidy for approved industry based training. If you are a member of BERT and meet the BERT Training Fund (BTF) eligibility criteria, you can apply for a training subsidy. Please note no funds are deducted from your BERT account to cover the cost of your training. Your BERT account is only used as a reference to determine the amount of funding we will authorise. You can apply online by visiting www.btfund.org.au and selecting ‘Apply Here’ for Training Grants. Submit your application and if successful, you will receive written confirmation of your grant and the amount to be funded. 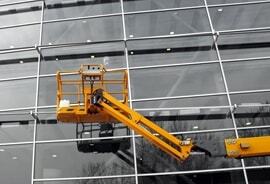 Complete the Scissor Lift Training together with the Boom Lift Training for only $330! Courses available Monday – Friday. Saturday Sunday by appointment.